Progressive Christianity was important to my faith development because it allowed me to see that paradigm one religion – something to which I had always struggled to subscribe - was not the only way. Without knowing it in those terms at the time, it alerted me to the fact that there was a paradigm two type faith available for discovery. It did this for me in two ways. Firstly I came to know of various clergy who were reading and sharing the works of Progressive Christian academics and authors. And through those clergy I came to read the work of those authors and academics directly. 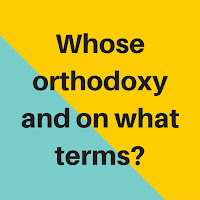 What these clergy, academics and authors were often doing, was taking simple mantras of the religion (the mental propositions that became essential beliefs in paradigm one Christianity) and reframing them in broader philosophical and historical contexts. Suddenly these propositions were not statements of certainty to which one had to subscribe without question. If these mantras had multiple or contested meanings, the foundation of paradigm one Christianity was at question. Perhaps faith could mean something else. As my exploration of the Progressive case expanded, I realised that Christianity was a place of extraordinary and wonderful complexity. And while progressive Christians sometimes have a problem with tradition, I learned to regard that very word with wonder. I recognised that some splinter groups have at times had far too much say in influencing our understanding of the tradition. They’ve moved from splinter to centre and consequently mainstream denominational Christianity has followed along. For example, the thoughts and practices of many mainstream expressions of church are still influenced by a simplistic late-nineteenth/early-twentieth century American evangelicalism. This movement’s basic faith tenets and Biblical-centrism became confused with traditional faith and were merged into the teachings of the mainstream Christian denominations. Tradition became tradition 1950s style. It has been both scary and liberating to realise this. Revelations of this type have allowed me to sit more gently with orthodoxy, another term I’ve realised is highly contestable. 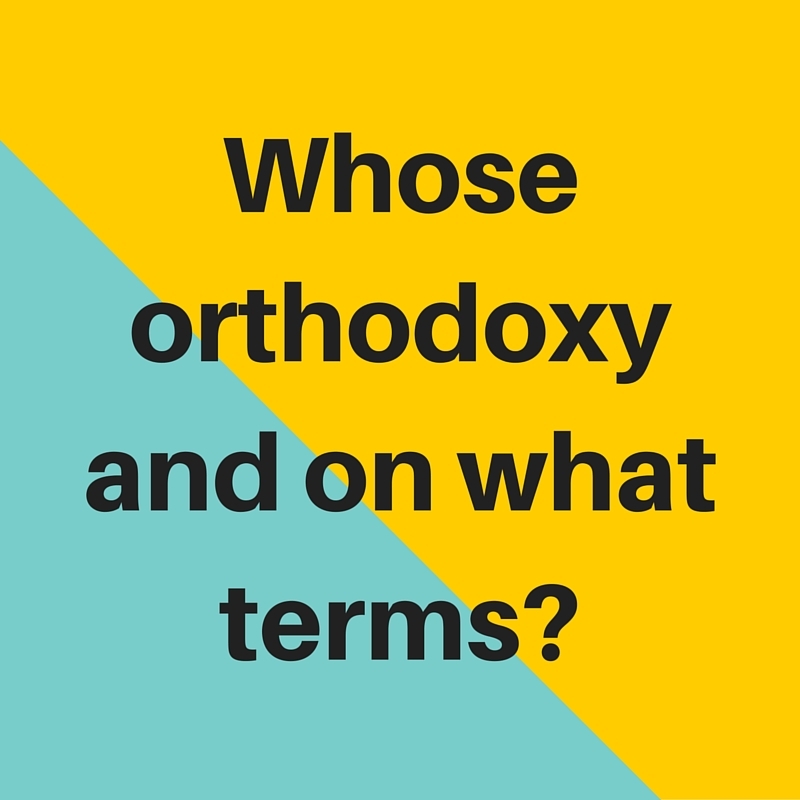 “Whose orthodoxy and on what terms?” is a question that now occupies my mind when I hear the word. So this does not mean I have become slavishly committed to dogmas and doctrines in a paradigm one style. But in delving into the history of those dogmas and doctrines I’ve come to understand that at least some of their founders were exploring a mythic and metaphorical dimension of faith rather than simplistic linear faith statements. By way of example, progressive Christian perspectives have helped me come to a much deeper understanding of Trinitarian philosophy. I know many progressive Christians who are highly dismissive of Trinitarian ideas. And, if the idea of Trinity is a literal god hierarchy, such a dismissal is easy to understand. To an educated, open-minded westerner, such a model of divinity with a god/human understudy is at best bizarre and at worst offensive to the Jewish faith from which Christianity sprang. But what if that literal god hierarchy is not the only story? What if some of the instigators of the idea were simply trying to find a way to tell a different story about the way the world works? There is at least a suggestion that Roman theology already had its own Trinitarian model, as a way of explaining the divine nature of the emperor. This Roman model seems to have had many hierarchical qualities. There are a number of Christian faith claims that take hierarchical Roman thinking, and put a different political spin on it. My explorations suggest that early Christians were trying to do the same thing with the idea of Trinity. So Christian Trinity, from this perspective, was a very early attempt to describe divinity from a highly distributed, non-linear and power-sharing perspective. I see, in this perspective, understandings of the cosmos that are akin (and significantly so) to some of the most challenging, and enlivening ideas from contemporary quantum physics. This is where my explorations are leading me now, and all at the invitation of progressive Christian thinking. While the languages (and poetries) of Trinitarian philosophy and quantum physics are obviously very different, I see exciting similarities in their attempts to express parts and wholes of systems as equal images of one another rather than the one being the sub-optimal building block of the other.